At Leader Basement Systems, we have solutions to dry out your basement and crawlspace. We have specialized basement drain systems that are customized for your home's problem. Get our free French drain cost estimate by contacting us today! Installations usually take only 1-2 days. 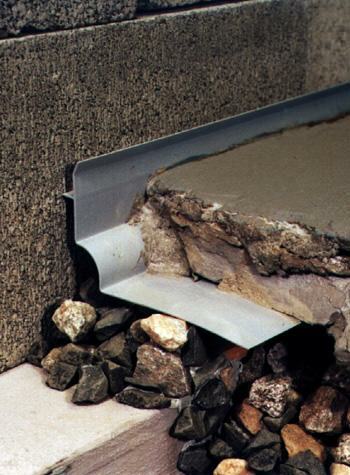 We provide french drain installations in Chicopee, Worcester, Springfield, Westfield, Leominster, Pittsfield, Fitchburg, Amherst, Shrewsbury, Holyoke, Gardner, Ludlow, West Springfield, Greenfield, Easthampton, Westborough, and the surrounding areas in Massachusetts and Connecticut. 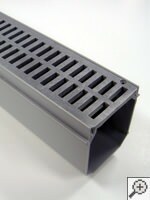 Our WaterGuard® drainage system is a perfect solution for many wet basements. Unlike outdated drain tile systems installed around the outside of the home, WaterGuard® is installed under the perimeter edge of the basement floor. Waterproofs concrete block foundation walls -- Holes are drilled in the bottom of the blocks to drain water from cavities. Won't clog with mud -- The system sits on the footing, away from what's called the "mud zone" under your floor. Water's collected without clogs that often times stop other kinds of systems. 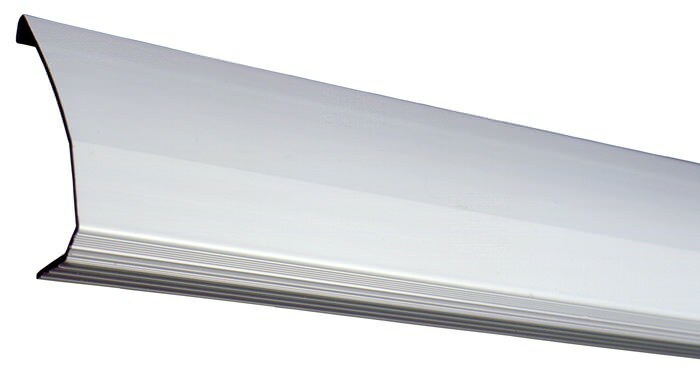 As a baseboard drainage system, DryTrak® installs above the basement floor and inside the basement perimeter. If you have a monolithic foundation, (your floor and footing were poured as one piece), this is usually the best drainage system. DryTrak® is also perfect when jackhammering your floor isn't an option, like if your basement has radiant heat. Installs without jackhammering a drain channel -- Your monolithic floor (and your foundation footing) won't be damaged during installation. Can waterproof concrete block foundation walls -- Like WaterGuard®, holes are drilled at the bottom of the block to drain cavities. Won't collect mud or debris -- As a sealed basement drain that's put on top of your basement floor and against the wall, there's no opening for debris to collect in the system from the basement floor. 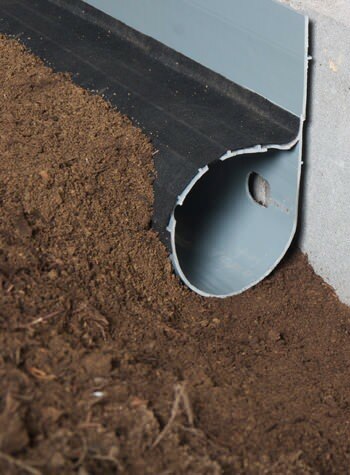 Perfect for crawl spaces, this piping system's designed for drainage swale installation running along the perimeter. Put it with a vapor barrier and sump pump, it will direct water under the barrier to the sump pump, where water's carried out of your home. 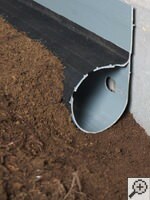 The SmartPipe™ system is the first custom-engineered crawlspace drain. 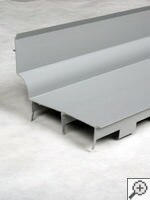 With 5 rows of drainage holes and a clog-resistant filter fabric, it's a cost-effective way to keep your crawlspace dry. Many homeowners have water flowing through exterior doorways, stairways, and garage doors. A normal drainage system can't fix this. In these situations, we usually recommend the TrenchDrain drain channel and grating system. It's designed to intercept water at doorways and send it to the sump pump. 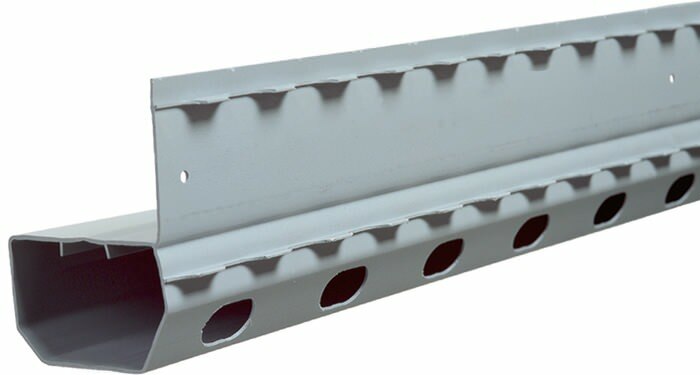 TrenchDrain resembles a half pipe system with a grate fitted on top. 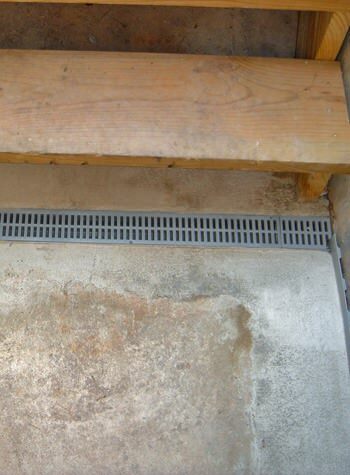 The grate is flush or slightly below the floor, where it catches water coming in from outside. In some cases, homeowners with high iron water levels will see a reddish-orange substance coming through walls when the basement floods. This is called "iron ochre" and it comes from chemical reactions in the soil. It can clog your drainage system and stain the concrete, along with anything else it touches. WaterGuard®: Iron Ochre System (IOS) is the answer for homeowners with iron ochre problems. The drain is specifically made with wide openings and a removable lid that helps the system avoid clogging. Plus it gives a clear access for maintenance later on. 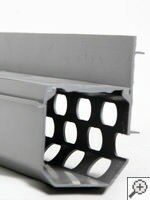 Installing a drainage system along a foundation's footing is the way to go with many perimeter tile systems. But, when basement floors are thin, it may be impossible to put a normal drain under the floor. In these cases we recommend FlowGuard, plus a drain installed in front of the footing. 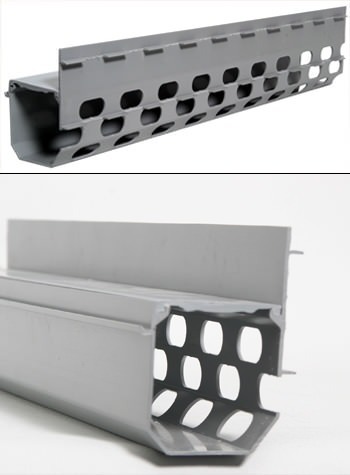 FlowGuard takes water from the wall/floor joint, and the basement walls. Then it directs the water to a drain that's in front of the foundation footer and under the floor.